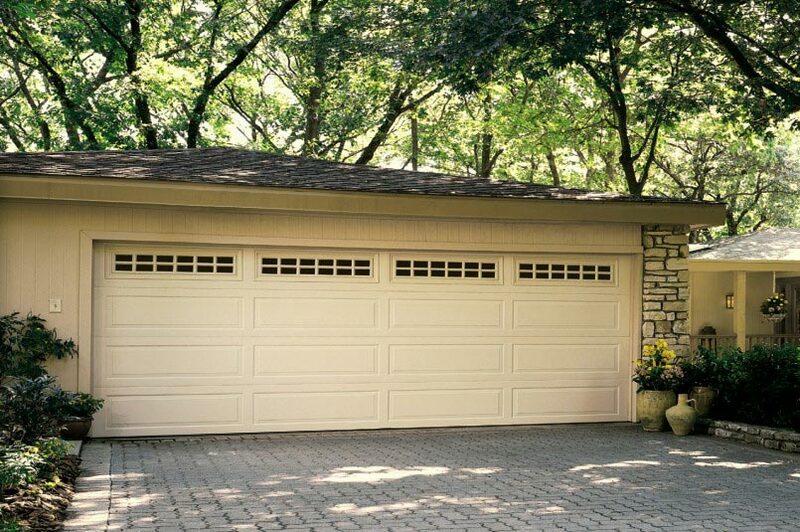 ​​​​​​​​​​​​​​​Traditional Steel garage doors deliver Overhead Door’s legendary performance and durability at our most affordable price. These garage doors are available with classic raised panels, wainscot inspired design or contemporary long panels. Two coats of baked-on polyester paint provide a low-maintenance finish that looks great, year after year. These steel garage doors combine the long-lasting performance of high quality steel with the elegance of clean lines and classic designs. Whether you want to create a subtle statement or a bolder one, our wide assortment of neutral tones will complement the architectural details of your home. All decorative trim windows come standard with double strength glass in Clear.